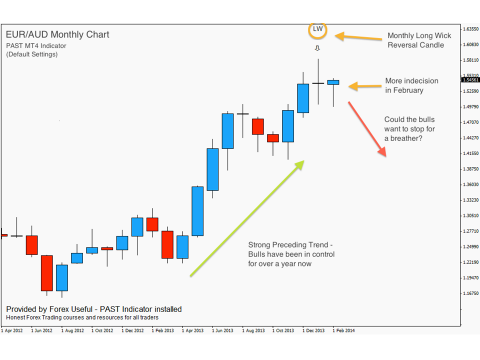 This weekly update will cover EUR/AUD – where the primary focus is on the MONTHLY anchor chart. We have bid farewell to the month of February and have moved into March, the final month of Q1 2014! 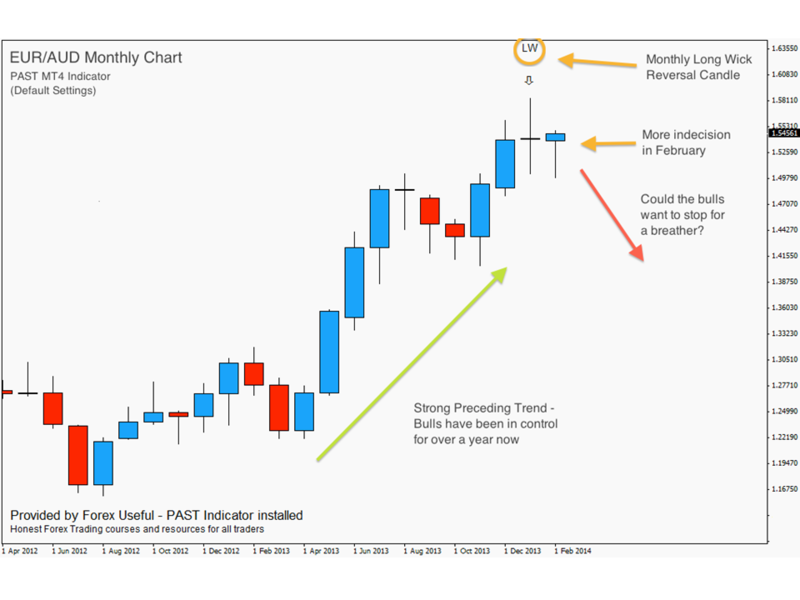 I hope February was a good trading month for you all – if not, the end of one month and the start of another is a great time to draw a line under previous mistakes and start on a clean slate. With this in mind, I just want to briefly touch on a topic I was posting about in the EarnForex forum during the week. Often when we are evaluating performance, we tend to look at the final profit or loss figure at the bottom of our account statement to determine whether we traded well or not. Doing so is a very one-dimensional way of assessing performance and often gives a misleading picture. Over the course of the last week, two football managers have helpfully reminded me of this concept. Brendan Rogers, the Liverpool manager, said in an interview that he always tries to ensure that his players concentrate on evaluating their performance during a game, rather than the result. The idea being that as long as you perform as you should, the wins will inevitably follow. Equally, when Man Utd lost to Olympiakos during the week, the focus afterwards wasn’t as much on the 2-0 scoreline, but on the dreadful performance – lacking in spirit and fight. We can learn a lot from this approach when we are evaluating our own trading. Once both of these steps are complete we can say that there is a realistic possibility that a new swing could be about to develop. The current anchor chart of EUR/AUD satisfies these steps. If a new swing does occur, we may have a position in the market right at the beginning of a large move. If we are correct, and the market moves to the downside, our job is to be aggressive and make as many pips as possible. If we are incorrect, and the market continues to move to the upside, our job is to be conservative and lose as few pips as possible. 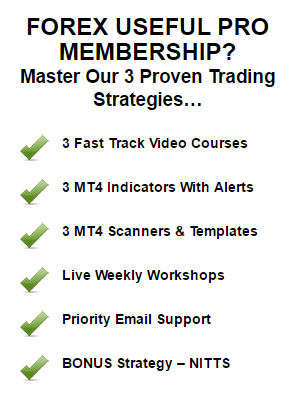 We know that if we apply these principles consistently in our trading, over time we will come out on top. 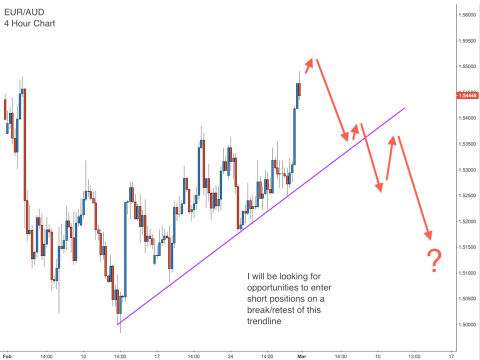 New trendlines can form during the course of the week’s price action. 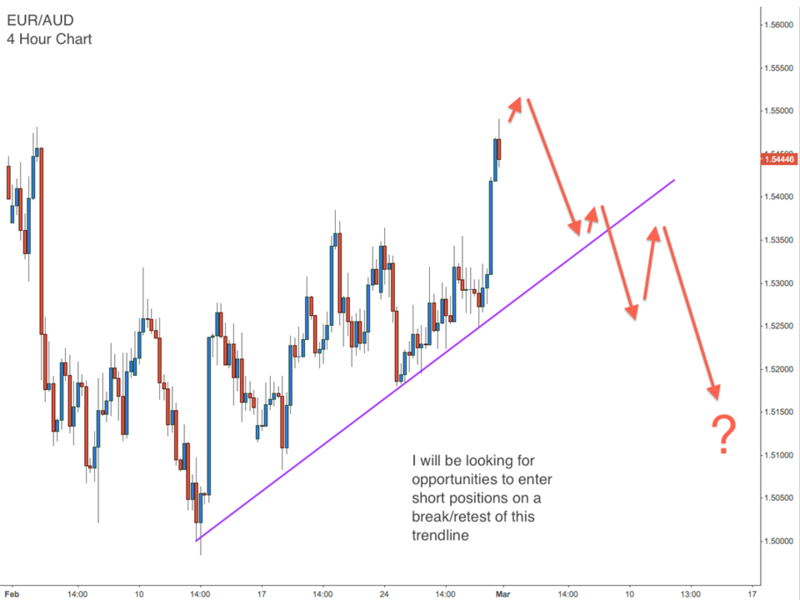 We will look to initiate short positions on a break/retest of the trendline as shown. For more information on entries, please see Chapters 9 & 10 of the Free PAST Strategy eBook. If you would like to see further updates on PAST Trading during the coming week, please visit the PAST Strategy discussion forum at EarnForex. Thank you once again to all of the contributors on the forum, who are posting quality charts and set-ups on a regular basis. I have noticed in the last week that there are quite a few “lurkers” there who are watching the posts but are being very quiet – don’t be afraid to post, even just to say hello! We won’t bite! We are all learning from each other and it is turning into a valuable resource for traders who use the PAST principles to guide their trading. We learn better when we learn together. This report is based on my analysis on my charting package. It may differ to yours as it can be affected by time, market movements, charting packages and broker prices. I accept no liability for loss or damage, including without limitation to, any loss of profit, which may arise directly or indirectly from use of or reliance on any information in this report or analysis.